aamra networks limited and Polycom Inc. jointly concerted an event to commemorate the possibilities of human collaboration through video conferencing solutions. The auspicious event was held from 6:30 to 9:00 pm at the La Vita Banquet Hall of Lakeshore Hotel, Gulshan and was primarily aimed as a demonstration of Polycom’s latest breakthroughs in the field of video conferencing for businesses and corporate clients. Among the dignitaries at the event were Minhaj Zia, Vice President for Polycom in India, SAARC & SEA; Anirban Acharya, Regional Sales Manager, Polycom India. 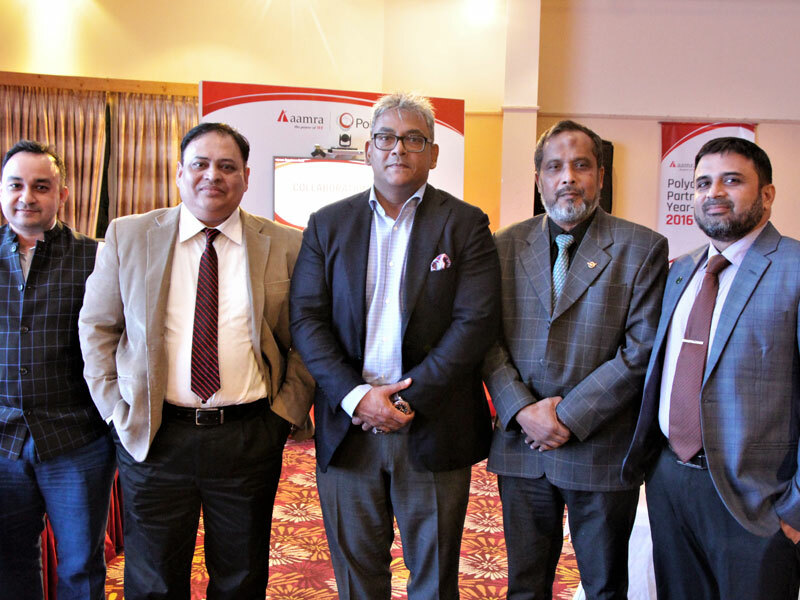 Representing aamra companies at the event was Syed Farhad Ahmed, Managing Director; Syed Faruque Ahmed, Chairman and Sharful Alam, Chief Operating Officer. aamra networks limited has been crowned as Polycom’s “Partner of the Year– SAARC Region” for two consecutive years.